If you, a family member or friend is applying for Social Security Disability benefits, you need a lawyer who understands the law, will fight for you, will keep you informed, and will make sure you get the benefits you deserve. That lawyer is Attorney Thomas More Holland. 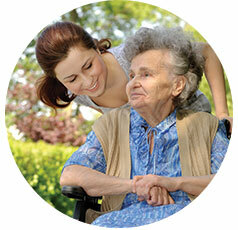 Social Security Disability Insurance is a federal program for workers who become unable to work. The program is funded by the “FICA” tax paid by employers and withheld from workers’ paychecks. If you have a family, you may also be entitled to additional benefits. Eligibility depends on three factors. First, you must be disabled, which means you cannot perform the kind of work you did before you stopped working. Second, your disability must last or be expected to last at least 12 months. Third, you must prove that you cannot perform other work because of your disability. Here is a partial list of conditions that can make you or someone you know eligible for Social Security Disability benefits. This is not a complete list of conditions. If you believe that you are entitled to Social Security Disability benefits, you need an attorney who understands the Social Security law, and has handled these cases. Attorney Thomas More Holland has represented Social Security claimants for more than 20 years, and the attorneys and staff of the Law Offices of Thomas More Holland have the knowledge to handle your case.